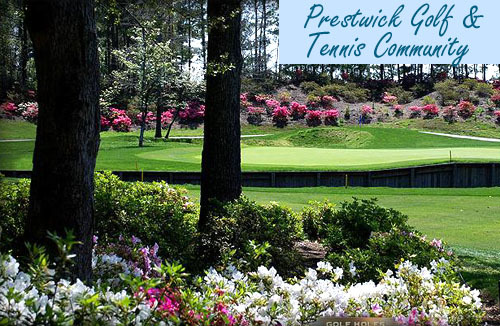 We have helped many buyers move into the Prestwick Golf and Tennis community. Over the years, we have asked the buyers why they chose to purchase a home for sale in Prestwick Golf and Tennis versus all of the other communities that they visited. Here are the 5 most common reasons why buyers choose the Prestwick Country Club to call home. It is gated and has 24 hour security. Buyers feel safe raising a family in the community. They feel comfortable with their kids riding their bikes, knowing there is no through traffic. It's a popular golf community. Even the long-time locals consider Prestwick golf to be a top notch golf course. The location of Prestwick is perfect. It is close to the hospital, golf, shopping, restaurants and everything else the Myrtle Beach area has to offer yet it is away from all of the traffic and congestion. Buyers tell us this is one of the best values along the Grand Strand. It offers golf, tennis, location, beach, gated, and security without breaking the bank. Prestwick homes are affordable. It's a community...not just a neighborhood. Homeowners love the fact that you walk down your driveway and the next door neighbor says hello. Well, this is why the buyers are choosing to buy a him in Prestwick. If you have any questions regarding this fine community then please call or email us anytime. You can alsonfind more photos and listings of Homes for Sale in Prestwick Country Club on our website.